Manufactured using fibre glass-based technology, Valeo G5 clutch facings offer a longer lifespan and compliance with European regulations (July 2003). 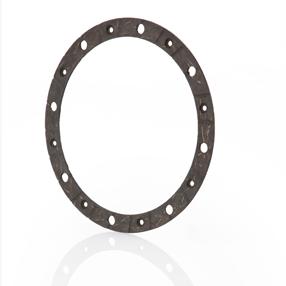 Our high-performance automotive clutch facings are resistant to high temperatures. The global standardisation of raw materials and manufacturing processes ensure qualitative consistency, globally. 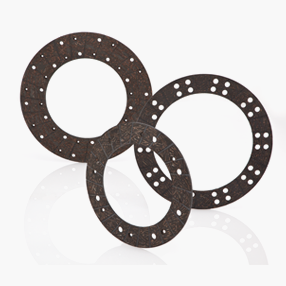 Our G5 clean technology makes us the leaders in the field of dry friction clutch facings. Using extensive software and hardware, the third generation of Haldex electronic braking systems for trailers comes with higher capacity. • Functional capabilities upgraded by software for longer operational life. • Connect multiple CAN devices, e.g. TPMS, EB+ Info Centre or telematics. From trailer lift axles, brake wear sensors, Reset-to-Ride function and Soft Docking to Fleet+, tire pressure monitoring and Info Point, the third generation EB+ is able to integrate considerably more systems and hence, EB+ Gen3 accounts for a rapidly growing number of wide-ranging systems that communicate with EBS. Organic facing ensures smoother engagement, lower pedal effort, driving comfort, low vibration, extended drivetrain component life, effective torque transfer, stable coefficient of friction even at high temperatures, superior quality, low operating cost, maximum uptime, low downtime, longer service life, no flywheel wear, longer life, low maintenance cost and wide grade range for specific applications.